Well, York Blvd. finally caved and has joined the “twitter revolution.” When we’re too lazy to blog, we might still eek out 140 characters on the latest Highland Park news fit to print. Follow us @yorkblvd for all our local thoughts, observations and witticisms. Eagle Rock has been getting a lot of positive local publicity lately. Maybe that explains the outrageously long lines at the Oinkster. Los Angeles Magazine profiled it in a recent series on neighborhoods with a small town feel, dubbing it “The Indie”. The Los Angeles Times also reviewed No Age’s show over the weekend at the Center for the Arts Eagle Rock. The Vendy Awards are moving their annual awards from New York to Los Angeles to pit bacon-wrapped hot dogs vs. tacos in a battle royale that promises to decide the best L.A. street food vendor. The event will be held on May 15th, in MacArthur Park, and your $50 admission gets you all the food and alcohol you can drink between 4-7 PM. The event has already begun garnering some buzz, but for those of you who care about the larger social issues surrounding street vending, we hope to provide you with a bit of background for the awards. 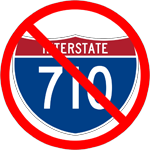 In August 2009 Sean Basinski of the Street Vendor Project in New York City contacted us hoping to scout Los Angeles’ street food scene for the awards. (At the time, his group was also considering Philadelphia.) In my more narcissistic moments, I like to think he came to us because we’re experts, but the sensible truth is simply that we have a website and speak English. Sean eventually made it out to Los Angeles in August and spent a few days meeting with some of the groups that have dedicated themselves to the larger social issues surrounding street food, the Loncheros Association for one. When we were finally able to meet up with Sean, he was excited about our city’s vibrant street food scene. Since everyone had to be at work the next morning, we took him to a few local spots as an introduction: Tacos La Estrella on York, and to the Figueroa Street Marketplace for some esquites. (He declined the cologne and DVDs.) Sean struck us as altruistic and dedicated to improving the plight of street vendors; He simply needed a bit of a primer on the Mexican street food that didn’t seem to be familiar to his New York palate. We sold him hard on L.A., and eight months later, here we are. True $50 seems like a steep price to pay for admission to a three hour food fair, but consider the fiasco that ensued at the L.A. Street Food Fest: $5 admission resulted in thousands of people waiting in line who were denied admission, long lines for the vendors inside the festival, and a shortage of the more popular dishes. Tickets to the Vendys are limited, include food and drink, and are tax deductible. 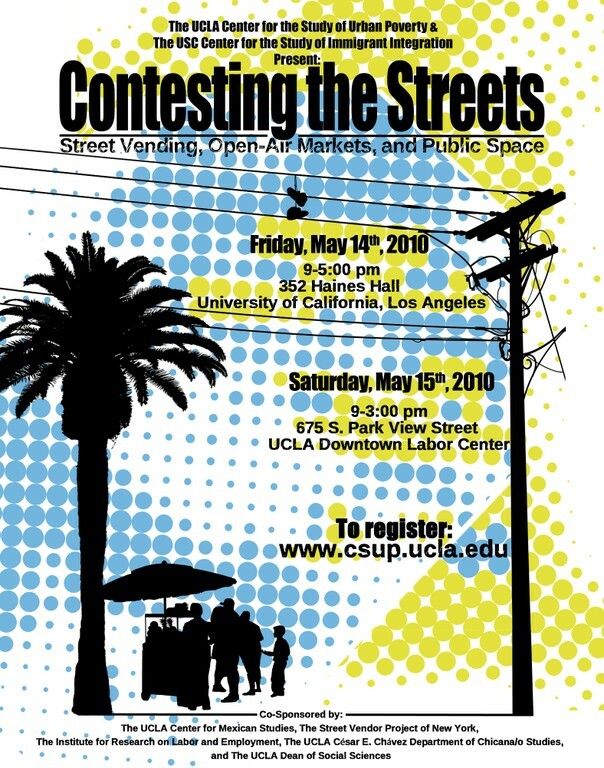 Also, if you’re so inclined, the festival will coincide with the end of Contesting the Streets, an academic conference on street vending hosted by the UCLA Center for the Study of Urban Poverty. I for one am looking forward to Queering el Barrio: Latina Immigrant Street Vendors Navigate and Perform Queer and Gendered Identities in Los Angeles. It just has a catchy title.